I hope you all have had a wonderful start to your weeks. here is my project for the current Sweet Stamps Challenge "Borders". I thought to make a layout and create a "border" right under the embellishments. I use lots of cut pieces of an image that I could not stand to color and mess up. I loved doing this and I'm sure I'll do it again on a card very soon. All links to the Sweet Stamps products use are below. out of the water...like every week. here are all the little pieces of the one stamp that I cut out. I stamped on patterned paper. here is the "border" of pretty stuff !! 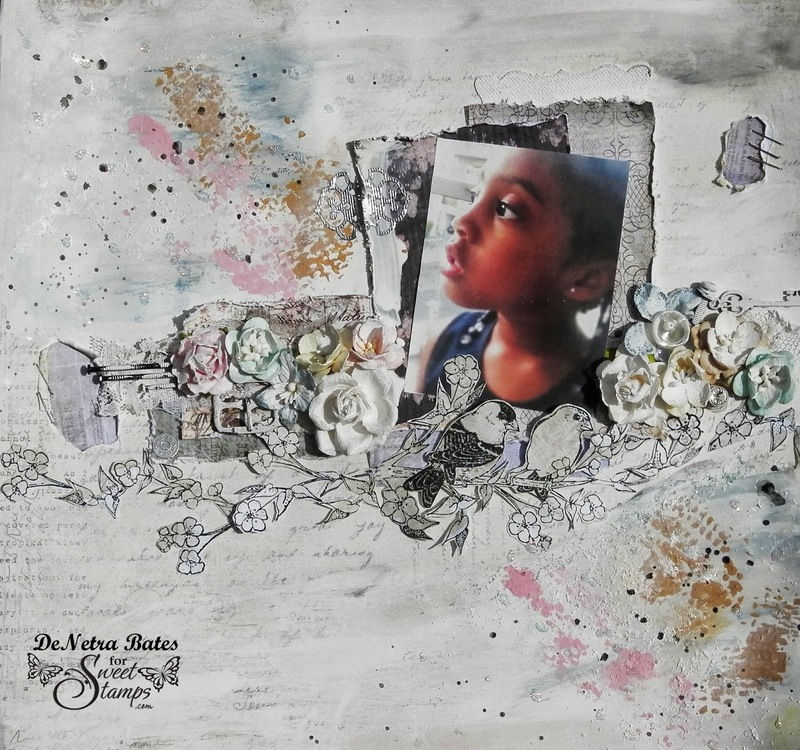 I LOVE that you did a scrapbook page and it's really beautiful! Dear me- this is stunning! What an awesome layout, love the soft colors and how you used the images to make your border. Love all the added elements too. Sweet!! So much to discover in your border, fabulous job with the challenge and your page. Wow! What a creative way to do a border. You put lots of work into that, and it shows! Love the whole arrangement. Gorgeous.